Nothing about Paul Hobbs’ childhood could have foretold his future as one of the world’s most successful wine makers. Born in upstate New York in 1953, Paul is one of 11 children in a family of farmers. After his uncle died in a swimming accident whilst studying at Cornell university, Paul’s mother banned alcohol from the family home, suspecting her brother’s death was caused by drunkenness. However Paul’s’ father reintroduced wine into the house in some style, in the shape of a bottle of 1962 Château d’Yquem. The Hobbs family loved it – including his mum – and rediscovered the joys of wine. Little did his wife suspect at the time, but this was Mr Hobbs subtle – and effective – method of suggesting the family moved into grape growing. By 1969 a section of apple orchard had been uprooted and replanted with wine grapes. Paul remembers that childhood with great affection, and indeed his Crossbarn range is named after the barn where he played baseball as a kid. But winemaking was not his first career choice, as he enrolled to study medicine at the university of Notre Dame. However, wine Karma swung into action again, as Paul’s botany professor, a former winemaker, encouraged him to attend his weekly wine-tasting seminars. 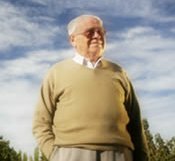 Within a short time Paul Hobbs abandoned his medical studies, and enrolled in the Department of Enology at the University of California at Davis. 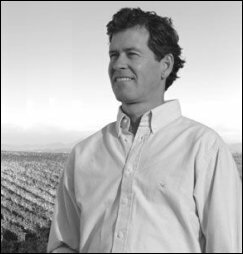 Academic success led to a position as a researcher at Robert Mondavi, but soon Hobbs was promoted to Oenologist and, amongst his other responsibilities, was assigned to the Opus One team. By 1981 he had been appointed Head Oenologist, in charge of Opus One for several vintages. From there Paul moved on to Simi winery, becoming Vice President and Winemaker. But it was during this period that Paul’s horizons also expanded beyond the USA, when a chance meeting with Jorge Catena and then his brother Nicolas Catena, led to a visit to Argentina to see their family wine business. Paul says “I fell in love with the quality of fruit,” but he and Nicolas agreed that most Argentinian wines were “god awful,” as the fantastic fruit was being badly handled during winemaking and storage, leading to dull and oxidised wines. Nicolas Catena determined to set a new course for his winery, and so Paul accepted the first of several consultancy roles in South America, working with Catena on a new project to create Argentina’s first world-class Chardonnay. By 1991 Paul was working widely as a consultant, including for Peter Michael and Chalone in California. He felt the time was right to make wines for himself, and so Paul Hobbs wines was born, with a mission to produce small lot, hand-crafted wines from specific vineyard sites. The wines were produced at a shared facility until 1998, when Paul purchased 19 acres of land in the Russian River Valley, 14 of which were planted to Pinot Noir, with a new gravity flow winery completed in 2003. The story since then has been one of success, with high scores and high prices for Paul Hobbs wines, whilst Hobbs the man retains many consultancy roles. He also created his own second wine estate, this time in Argentina. Viña Cobos is a single vineyard Malbec specialist with its own vineyards in Lujan de Cuyo. Paul splits his time between Mendoza and California. Tasting notes for Paul Hobbs wines follow, and part II of this profile will feature the wines of Viña Cobos. Both were presented by Paul in Edinburgh in November 2008, to celebrate his new distribution in the UK thanks to go-ahead importer Alliance Wines. The wines will not be in the UK until January/ February 2009, but contact Alliance via alliancewine.co.uk. To see US stockists of Paul Hobbs wines see wine-searcher.com. Prices on these wines are high, but then production is tiny, demand high, and UK allocations will be minuscule – only 90 bottles of the top Crane Vineyard and To Kalon Cabernets for example. Certainly more nutty, toasty oak with sesame seeds and a touch of orange. The palate stays nutty and has a cool, apple and lemon fruit quality. A sweetness and more tropical fruitiness comes through, and there is good length in a Chardonnay that carries its 14.7% alcohol pretty well. 90/100. Trade price: £363.48 per case of 12. From the Russian River, this has quite a tight, mineral and cherry nose, with a certain herbal, brackeny quality. A very nice floral quality comes through, the fruit becoming quite creamy. The palate has a good, deep, glossy blackcurrant character and a bite of bittersweet plum and cherry. Quite chocolaty tannins, big, voluptuous but lovely. 92/100. Trade price: £363.48 per case of 12. Dusty, blueberry and blackcurrant fruit, a touch of something smoky and herbal. Lovely fruit on the palate, with plenty of creamy, thick, ripe black fruit and chocolate, with a spicy, rich finish showing silky tannins and good, clean acidity. 90/100. Trade price: £363.48 per case of 12. Adds a definite mint character with mint chocolate notes, rich black fruit and a glossy depth. The charry oak is nicely firm and adds some structure. On the palate this has a very pure, grippy, tight fruit quality with blueberry and blackberry skin roughening texture. Nice weight and length, the tannins rich and supple and good length. 92/100. Trade price: £571.32 per case of 12. Aged 20 months in French oak barrels, 95% of which were new, this has a rich, smoky, ripe and dusty nose with touches of cedar to crisp, nicely defined black fruit. Well delineated palate too, with tightness and linear, cool fruit – its 15.3% alcohol is not dominant. It also seems built for the longer haul, with the fruit and tannins both lean, supple but plentiful, and a fine, long finish with balanced acidity. 94/100. Trade price: £632.98 per case of 6. This cuvée also spends 20 months in French oak barrels, all new. It becomes very cedary, with an elegant, pencil-shaving quality and refined black fruit. The palate too has a certain linear restraint, with a herbal and spicy edge to very lean, savoury fruit, with unfolding layers of structure and depth. The palate is very juicy, with lovely life and zest, and terrific grippy structure. 95/100. Trade price: £1016.40 per case of 6. Thousands of miles south of Paul Hobbs’ HQ in Sebastopol in California’s Sonoma Valley, another boutique winery operation is dedicated to vineyard-specific wines, especially Malbec, from vineyards in the Perdriel district of Mendoza. The Cobos winery may be new, but the vines are not. The top vineyard, Marchiori, is 60- to 80-years-old, its Malbec vines producing fruit for the top cuvées. Viña Cobos was founded in 1999, a partnership between Paul Hobbs, vineyard manager Andrea Marchiori (daughter of the vineyard’s original owner) and Luis Barraud, of French extraction and oenologist at Cobos. The wine range is composed of three tiers, beginning with Felino, a range of white and red wines, selling to the trade in the UK at a modest £105 per dozen. The middle tier is Bramare, a much more serious set of wines – Chardonnay, Cabernet Sauvignon and Malbec – from the estate’s own Marchiori vineyard, but from younger, yet well-established, blocks of vines. Those retail for between £125 per 6 for the Chardonnay, to £229 per 6 for the Malbec. At the top of the tree, Cobos Malbec and Cobos uNico, a blend of Cabernet and Malbec, from the oldest blocks of the Marchiori. uNico is named after Nico Marchiori (left), patriarch of the owning family. These are expensive wines, with only 90 and 54 bottles coming to this country respectively, for £437 and £540 per 6. These tasting notes are from the launch of the wines by Paul and his new UK distributor, Alliance Wines, in November 2008. The wines will not be in the UK until 2009, but contact alliancewine.co.uk. To see worldwide stockists of Cobos wines see wine-searcher.com.